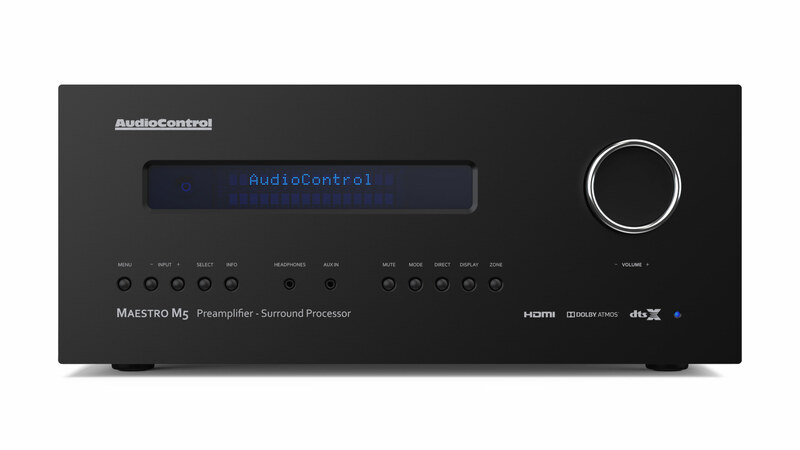 Seattle, WA, August 31st, 2017 – AudioControl (audiocontrol.com), makers of innovative high-performance audio solutions for the residential, commercial and automotive markets has introduced The Director M4840 amplifier for whole-house entertainment, engineered to address the needs of integration specialists and deliver exceptional performance from a form factor that is over 30% shallower than traditional rack-mounted amplifiers. The Director Model M4840 delivers an unmatched combination of features, superb sound quality and fine-tuning capability all within a compact form factor that is a scant 11.5-inches deep, elevating it far above all other solutions in the multi-zone amplifier marketplace. 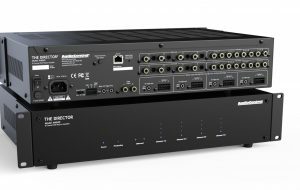 The AudioControl Director Model M4840 utilizes technology from the company’s award-winning Director M-Series amplifier lineup and though its shallow chassis saves valuable rack space, it does not compromise on performance. The M4840 delivers 100 watts/8-Ohms, 200 watts/4-Ohms per channel into an 8×10 stereo matrix that delivers the highest quality entertainment programming to any zone. Integrators can tailor the sound based on DSP (digital signal processing) profiles of leading speaker brands as part of AudioControl’s Sound Partners Program, and then fine-tune these DSP profiles by individual zones based on environment. The M4840 can be used as a standalone matrix-amplifier or as part of a complete smart home environment with drivers available for popular 3rd party control systems including Crestron, Savant, RTI or Control 4. 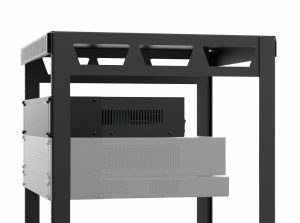 Most critically, AudioControl has provided integrators with the flexibility to deliver 8-channels of premium performance from a 1U (M4800) or a 2U shallow (M4840) chassis to accommodate nearly any system configuration. 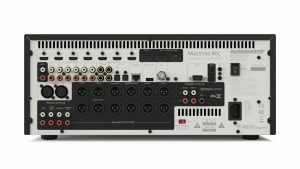 Two 2U 16-channel amplifiers (M6400, M6800) round out the Director M Series lineup. The M4840’s powerful DSP engine includes graphic and parametric equalization by zone, network monitoring/programming plus the addition of zone and global volume control with individual channel/zone grouping via standard TCIP and zone audio presets. 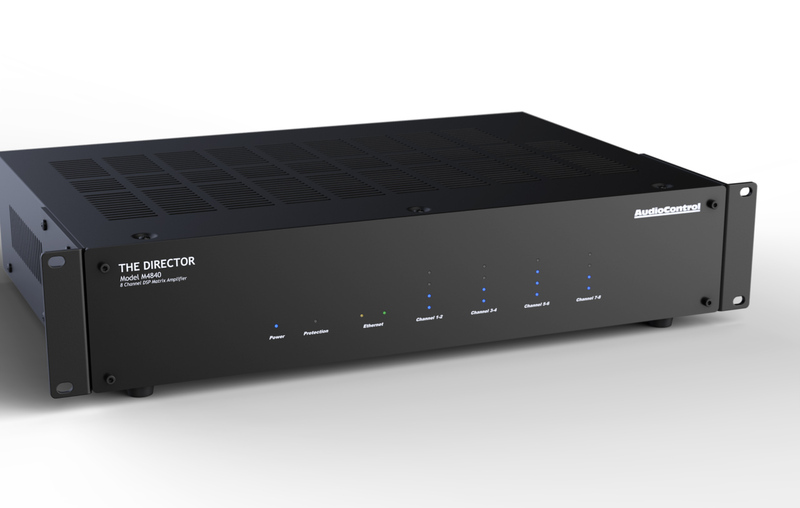 Director Series amplifiers can be controlled onsite or remotely through their DCHP/fixed IP control. The M4840 also allows for the ability to bridge channels, giving integrators configuration flexibility for system setup. No other multi-zone amplifier offers this combination of functionality and performance. With a growing base of consumers demanding a superior whole-house entertainment experience, the M4840 delivers AudioControl’s legendary performance while conserving rack space. Seattle, WA, June 22nd, 2017 – AudioControl® (audiocontrol.com), designers and manufacturers of innovative high-performance audio solutions for residential, commercial and automotive markets since 1977 is proud to have been serving car audio enthusiasts with the finest products for 40 years. From the beautiful Pacific Northwest region of the USA, AudioControl has established a culture of innovation, superb components and outstanding customer service from a team that is truly passionate about making good sound great. “Our customers far and wide simply love what we do, and our engineers have a well-deserved reputation for being legends within the audio engineering community—they know a thing or two about creating fine audio products that offer great reliability, performance and value,” explained CEO Alex Camara. In the early days of aftermarket car audio when 8-track and cassette tapes ruled the earth, the AudioControl product lineup consisted of specialty components that were sold through some of the very first car audio retailers/installers. The company mission was to enable our dealers to help consumers overcome the acoustic anomalies of their automobiles in order to enjoy the finest possible sound. After heroically saving much of humanity from a subpar listening experience on the open road, AudioControl has since garnered countless awards and numerous patents for advances in the reproduction of sound. Over four decades, as audio engineering advanced from LP records, tape, CDs, MP3s and beyond, AudioControl has created a revered lineup of outstanding car audio processors, amplifiers and OEM interface solutions sold and installed worldwide by the most qualified professionals. Today, the mission for AudioControl remains the same: to provide aftermarket car audio retailers the tools they need to create a lifelike entertainment experience that outperforms expectations for each and every customer. As an example, AudioControl is leading the charge with OEM integration solutions for aftermarket car audio retailers, enabling them to satisfy consumer demand for great sound even in vehicles where the factory radio cannot be replaced. 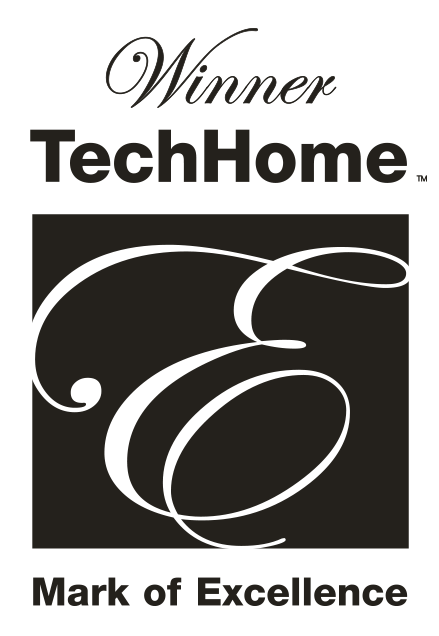 Seattle, WA, January 12th, 2017 – AudioControl® (audiocontrol.com), designers and manufacturers of innovative high-performance audio solutions for the residential, commercial and automotive markets has won the prestigious 2017 TechHome® Mark of Excellence Award for the Director Model 4800 matrix-amplifier presented by the Consumer Technology Association (CTA™), recognizing the best in custom integration and installed technology. 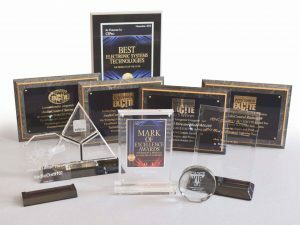 All entries are judged by a panel of independent experts within the industry, and winners were announced on January 6th at the Mark of Excellence Awards Reception during the CES® convention in Las Vegas. 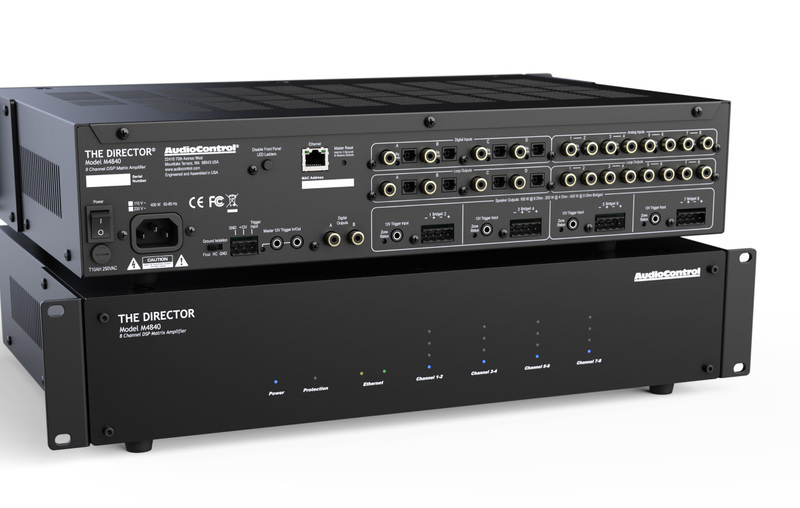 The AudioControl Director Model M4800 was recognized for delivering innovative functionality including a broad range of advanced features, higher performance and superlative build quality all from within an integrator-friendly, compact 1U chassis. No other amplifier enables integrators to tailor the sound for their clients based on DSP profiles of their favorite loudspeakers obtained via an ever-expanding industry alliance with leading speaker manufacturers. The M4800 gives integrators the flexibility to fine-tune these unique DSP profiles by individual zones based on the acoustic properties of each environment. All of this advanced functionality is mated to an authoritative 100 watts/8-Ohms, 200 watts/4-Ohms of output into an innovative 8×10 stereo matrix that effortlessly delivers the highest quality entertainment programming to any zone. “The AudioControl team and I are truly honored and proud to have been recognized for such a significant award by the CTA,” said AudioControl CEO Alex Camara. 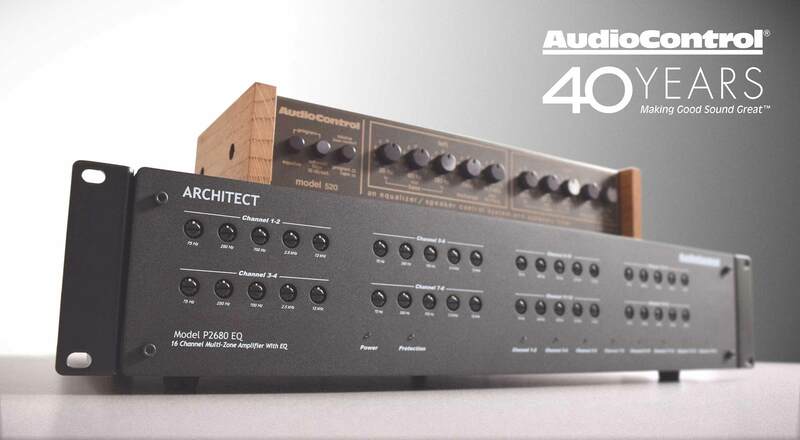 “The Director Model M4800 represents the spirit of innovation that drives us all at AudioControl and has helped differentiate our brand and product offerings from the competition for over 40 years. This amplifier enables integrators to deliver a superior entertainment experience to their clients, helping them shine in a crowded marketplace while earning referral and repeat business along the way,” Camara said. The made in USA Director Model M4800 is the ultimate solution for any whole-house entertainment package and is covered by a 5-year warranty.